Arduino Based Bi-Color LED Matrix Flappy Bird Game « Adafruit Industries – Makers, hackers, artists, designers and engineers! 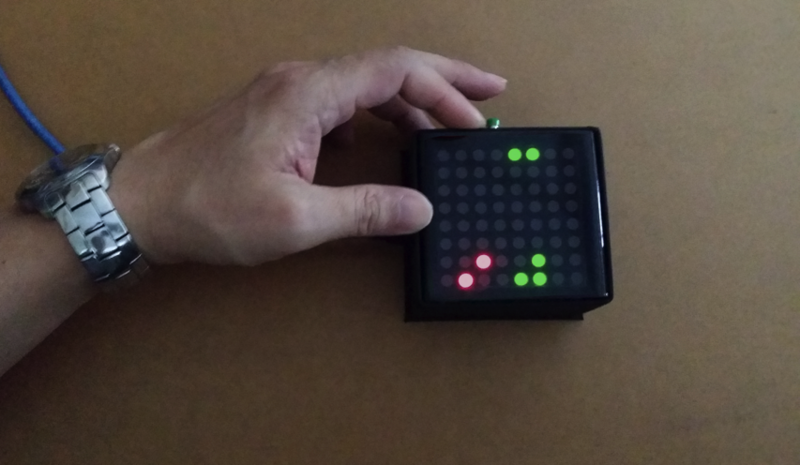 We were thinking of building another game and wondering what game could be engaging using just a single Bi-color LED Matrix Driver module. We did some research online and we came to the conclusion that the Flappy Bird game could be a good choice to work on. Flappy Bird is one of the more recent popular games around which is created by Dong Nguyen. It is a simple one-button game in which you have to navigate the flapping bird past obstacles. We love the way the game was created especially the movement of the bird’s tail when the bird is flying up and down as compared to others who have attempted to re-create the Flappy Bird game using LED matrix modules. We believe the man deserves kudos for animating the tail which makes the game look livelier. However, we think the game score display should be enhanced as it is currently limited to a static display of 2 digits with an ‘E’ displayed if the score is greater than 99. We also believe a Bi-color LED Matrix should be able to deliver better visual effect for the game than the single color LED Matrix used. Our instructable here is to build an Arduino driven Bi-color LED matrix Flappy Bird game which is able to display game score of more than 2 digits by scrolling the score display based on the game code from August Z. Flatby’s instructable.